Roma Moulding, the picture frame and fine art moulding industry-leaders would like to thank all West Coast Art and Frame Expo (WCAF) attendees and fellow exhibitors for helping to make this one of the best expo’s yet. Master photographer Peter Lik visited the Roma Moulding booth at the 2015 WCAF. The WCAF took place from January 26 to 28 in Las Vegas at the Paris Hotel and Casino. The Roma Moulding booth featured an avant-garde design and upbeat, fun atmosphere that attracted customer framers from across North America to stop in for a visit. 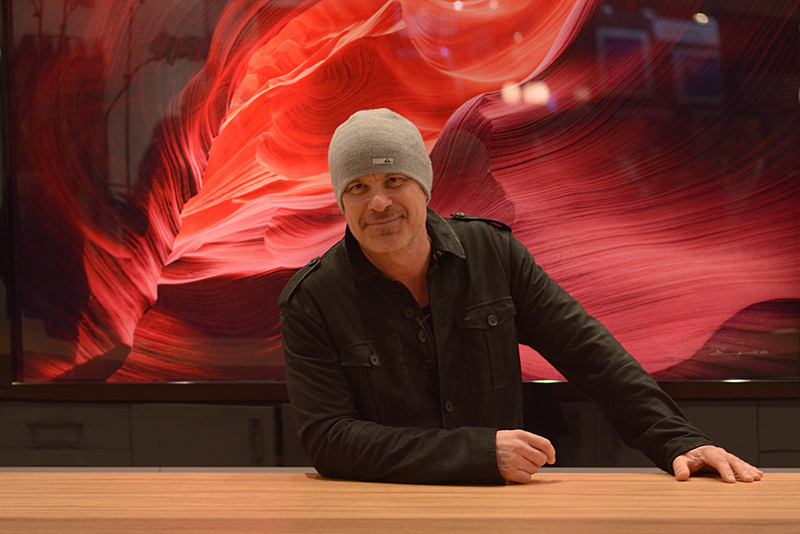 Highlights included a special surprise visit from internationally-renowned master photographer Peter Lik. Lik recently set a world record by selling his iconic image Phantom for $6.5 million featuring a Roma Moulding frame. Held annually, the WCAF is the picture frame industry’s largest tradeshow and includes workshops and professional development opportunities. The show represents Roma Moulding’s best chance to meet with key industry personnel and well as exhibit their unique blend of fun and exciting company culture. Attendees were encouraged to follow along with the action by using the hashtag #ChoosePowerfully on Facebook, Twitter and Instagram. Photos from this year’s WCAF can be found on the Roma Moulding WCAF15 Pinterest board, here. Additionally, please check out the trailer for Roma Moulding’s WCAF video (below). The full video will debut at the 15th All Hands Meeting held on March 26th. Roma at the West Coast Art & Frame Show – 2015 Trailer from Roma Moulding on Vimeo. Vegas and the WCAF are going to be awesome, once again this year! As a Growth Leader, I see this incredible event as an opportunity Move, Inspire & WOW EVERY person that we have the pleasure of meeting. Watch out Vegas…here we come! Way to go Team! Show them how it’s done!